richly carved fireplaces. There is the remains of a moat. (RCHM 2). The Billericay Society was formed on Saturday, 27th July, 1935. At that time, the Council for the Protection of Rural Essex wanted to set up a local area committee, so a meeting was held in Lockers Hall, and the first President was Mrs Ward, owner of the Hall. 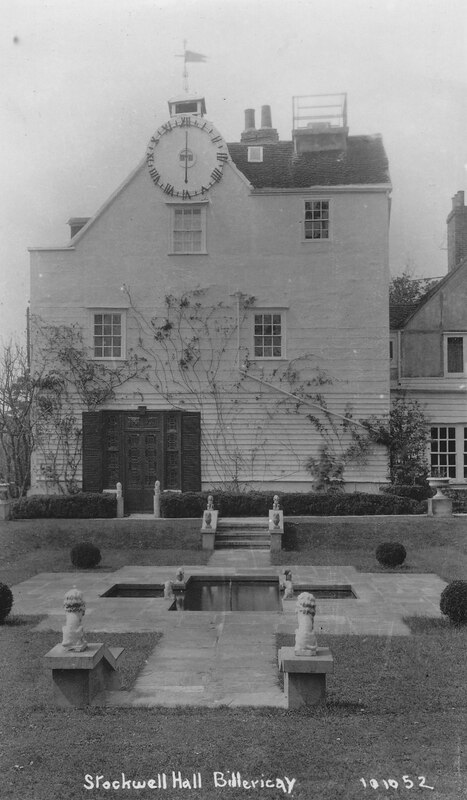 Consequently, The Society was then known as ‘The Billericay Area Group of the Essex Branch of the Council for the Preservation of Rural England’. The first Secretary was Basil Brooks, J.P. It was long felt that such a title was unwieldy, and so in 1972 the name was changed to “The Billericay Society”, affiliated to the Council for the Protection of Rural Essex. Following the death of Mrs Ward, the Earl of Mexborough (who lived in Stockwell Hall, Little Burstead) took over as President in 1943.